Together with a large industrial consortium, VTT Technical Research of Finland has launched a EUR 4.5 million project to speed up the development of fibre-based products as alternatives to oil-based materials like plastics. The project, funded partly by the European Regional Development Fund ERD, has brought together 33 companies, ranging from small to large, global companies. The Future Fibre Products project coordinated by VTT will transform laboratory-scale results into pilot-scale demonstrations for products and processes with a low carbon footprint. 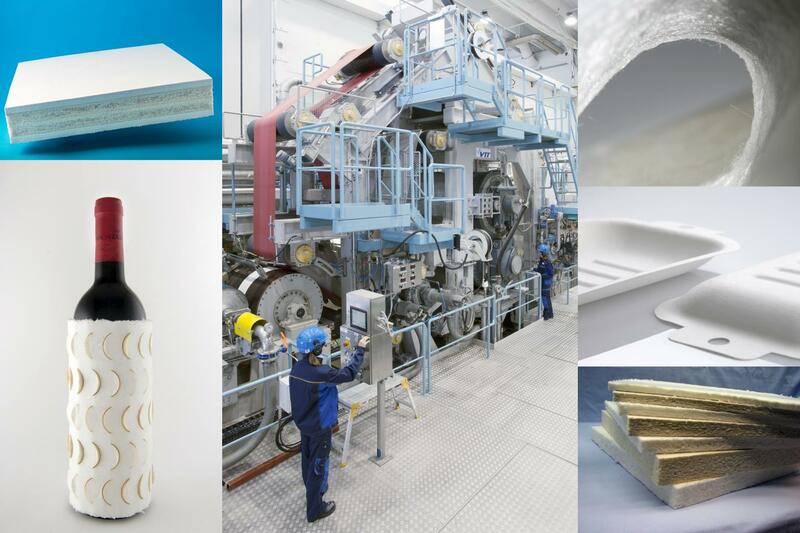 It will also explore how the current paper and board production infrastructure can be utilised in the field of new packaging solutions, non-woven materials, porous insulation materials, or even as replacements for EPS-based materials. Global awareness of climate change is driving the search for sustainable and environmentally friendly alternatives to oil-based products and materials. The forest industry is looking for energy-efficient and low-carbon solutions to improve production. In addition, they are looking for new applications and solutions to adapt the production infrastructure to changes in the market. The new initiative continues the development of advanced solutions for fibre products and processes, which has been VTT's strategic priority for a long time. It will strengthen the position of Central Finland as the global leader in the development of fibre-based products. The three-year project received approximately EUR 1.3 million in funding from the European Regional Development Fund, via the Regional Council of Central Finland and the Council of Tampere Region. In order to answer the increasing piloting needs of companies in the development of novel solutions for future fibre products, VTT is investing in another pilot line facility in the city of Jyväskylä. The new line will enable the production of lightweight, porous materials, as it can be operated without a wet-pressing unit. The line will be ready for trials in early 2018. "The new pilot, together with the current piloting environment, will have a central role in demonstrating the alternatives with the most potential. We hope that it will be used as efficiently by industrial partners, universities, and other research organisations as the current one", says Harri Kiiskinen, project manager of the Future Fibre Products project. The project attracted considerable industrial interest already when it was under preparation. In the end, 33 industrial companies from Finland, North America, Europe, and Asia decided to join. The project brings together actors from small enterprises to global leaders in the field, to tackle major challenges through open innovation. The industrial project partners are A Fredrikson Research & Consulting, Ahlstrom-Munksjö, Albany International, Andritz, Anpap, BASF, Berndorf Band, BillerudKorsnäs, BinNova, Essity (formerly SCA Hygiene Products), Glatfelter, Humuspehtoori, Irving Paper Limited, Kemira, Kimberly-Clark Corporation, Metsä Group, Moorim SP, Neenah Gessner, Novarbo, Paptic, Pixact, ProDeliver, Rejlers Finland, Sappi, SCG Packaging, Stora Enso, Sulzer Pumps Finland, Suominen, UPM-Kymmene, Valmet, Weidmann Electrical Technology, WestRock Corporation, and Wetend Technologies. "It is great to see so many innovative companies joining forces to develop tomorrow's material solutions. The large consortium is a clear sign that our long-term R&D work in the field of the bioeconomy is highly valued by companies", comments Jussi Manninen, EVP for Business Area Solutions for Natural Resources and Environment at VTT.